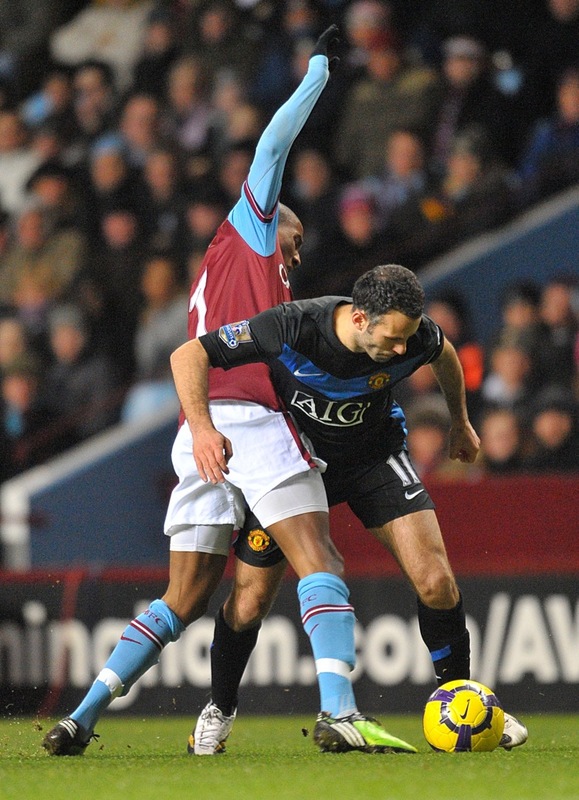 Photos: Aston Villa 1-1 Man Utd – Nani Sent Off, Fergie Agrees With Decision! Villa had a great chance to do the double over Man Utd but failed to make the most of Nani’s red card, shown to the Portuguese in the first half for his two-footed tackle on Stiliyan Petrov. With the score 1-1 at half-time (a James Collins own goal cancelled out Carlos Cuellar’s looping header), and United down to ten men, Villa might have gone for the kill. Instead they sat back, seemingly content with a point and ultra-wary of the threat posed by Wayne Rooney. Fair enough, but I’m sure some Villa fans would have liked to see Martin O’Neill’s team in a more adventurous mood. Afterwards, both Alex Ferguson and assistant Mike Phelan admitted that Nani deserved to be sent off. Is that a first? I didn’t think it was that bad a tackle, and Nani did get most of the ball. Petrov made the most of it. If there was a card halfway between a yellow and a red, that’s what it was.